The Night Eating Questionnaire (NEQ) is the most frequently used instrument for assessing night eating syndrome (NES), and it has been translated to many languages, including a traditional Chinese version in Taiwan. However, significant differences exist in the social, linguistic, and cultural contexts between mainland China and Taiwan. For its use in mainland China, a simplified Chinese version is needed and its psychometric properties should be further evaluated. Thus, the current study aimed to obtain a simplified Chinese NEQ (SC-NEQ) and validate its psychometric properties. According to standard procedures, the SC-NEQ was obtained by language transformation from the traditional Chinese version of NEQ. The SC-NEQ was then administered to 1273 mainland Chinese college students recruited from three provinces in mainland China. 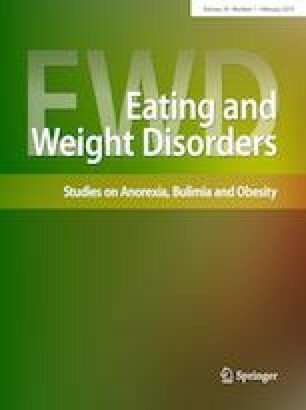 The four-factor structure of the original English NEQ (morning anorexia, evening hyperphagia, mood/sleep, and nocturnal ingestions) was confirmed in the current sample. Moreover, a second-order model also fitted the data well. The SC-NEQ showed good reliability with a Cronbach’s alpha and omega of 0.70 and 0.83, respectively. The total score of the SC-NEQ was significantly and moderately correlated with eating pathology (r = .35, p < .01). Strong measurement invariance across gender groups was also supported. These findings suggest that the SC-NEQ can be a useful tool to assess NES in mainland China. This article is part of the topical collection on Sleep and Obesity. The online version of this article ( https://doi.org/10.1007/s40519-018-0553-7) contains supplementary material, which is available to authorized users. The study protocol was approved by the research office in Hunan Institute of Technology that is responsible for research ethics, and all procedures in this study were in accordance with the 1964 Helsinki declaration and later amendments. Written consent forms were obtained from all participants.